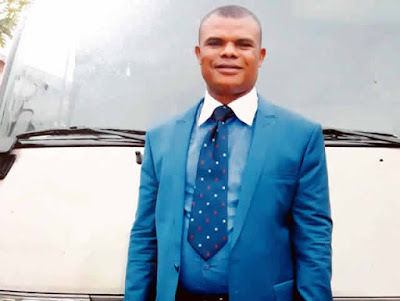 A staff member of the Nigerian National Petroleum Corporation (NNPC) in Port Harcourt, Rivers State, John Iheanacho, has lost his life to the terror of a kidnap syndicate. Despite collecting a ransom of N5m from his family, the kidnappers held the victim hostage in their camp in Afam, a community in the Oyingbo area of the state, until he died from a gunshot wound. His demise was hidden from the family till last Monday, about three months after his abduction, when his corpse was found in a shallow grave at the camp by the police. The Punch learnt that the seven-man gang had trailed a man in a Toyota Camry to an estate in Irebe, a suburb of Port Harcourt, on March 20, 2018 but missed their target. While returning from the operation in the night, they saw Iheanacho driving into the estate and went after him in their car. The man was in front of his house when they intercepted him. They were said to have shot him in the leg and whisked him away in his car to their camp. It was learnt that they subsequently contacted the deceased’s wife and demanded a N50m ransom, which was later reduced to N6m. It was gathered that the family reported the case to the Inspector-General of Police Intelligence Response Team as the gang failed to release the man after the ransom was paid. The operatives subsequently tracked down the suspects, who led them to the camp, and Iheanacho’s body was exhumed. The suspects are Prosper Nwoke (the gangleader), Teddy Ifeanyi, Chikere Eleke, Steven Iniobong, Chima Mac, Samuel Ikechukwu and Fabiawari Marcus. 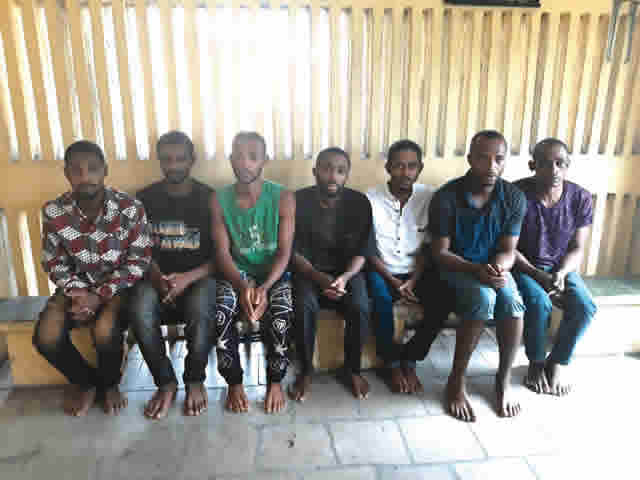 Nwoke, 28, a native of the Osisioma Local Government Area of Abia State, confessed to have led several kidnappings in Rivers, adding that the gang abducted a woman on the day Iheanacho was kidnapped. He said, “I was selling used clothes at Oil-Mill Market in the Eleme area of Port Harcourt and at Onyigbo Market. Sometime in 2016, I went to a nightclub where I met one Anele, who introduced me to armed robbery and kidnapping. “I participated in the kidnap of a woman and got a share of N100,000 from the ransom paid by the victim’s family. I was later arrested for that kidnapping and arraigned. I spent 13 months in prison before I was released on bail in December 2017. “I formed a gang and on March 20, 2018, we went in search of victims. We saw a new Toyota Camry in the Irebe area, off Aba Road, but the man escaped. We then saw a Toyota driving into the estate. We suspected that the occupant must be a very rich person, so we went after the vehicle. “We followed the man (Iheanacho) until he got to his gate. I ordered the man to come out of his car. T-money (Teddy Ifeanyi) and others held him. He struggled with them and asked what his offence was. I told him that we were kidnappers. “While we were on it, some vigilantes started approaching us. The man grabbed my rifle and started struggling with me. I don’t know how I fired two gunshots which hit him on the knee. We took the man and his vehicle away. On our way to the camp, we saw one woman driving a Toyota 4runner and kidnapped her. We sold the two vehicles for N400,000. Ifeanyi, 28, a barber and native of Imo State, said in the second tranche of the ransom, Iheanacho’s family paid $6,200 (about N2m) from which he got a share of $2,000. In his own confession, Eleke, an indigene of Umiosi-Idoki community, in the Onyigbo Local Government Area of Rivers State, said he warned Prosper against keeping Iheanacho in the camp after the ransom had been paid. He said, “When I discovered that the NNPC man was injured, I told Prosper that he needed urgent medical attention.